Please read and review all information pertaining to our warranty, as they vary based upon type product…..
Mega Storage Sheds is pleased to offer the BEST warranties in backyard Storage Sheds structures, our Barn, Gable, and Hip Sheds all come complete with an all inclusive front to back and top bottom seven-year warranty. 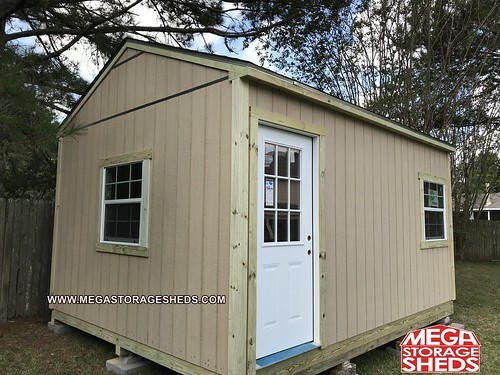 Mega Sheds will warrant each unit against workmanship for 7 years upon the installation date and we will replace or repair the affected item free of charge(upon initial assessment). To avoid needless repair expenses and get the best service from your new storage building please follow the “Customer Maintenance Tips” listed below. Warranty is only valid to the original purchaser on file, not transfer of warranty is accepted! Basic Sheds will warrant each unit against workmanship for 3 years upon the installation date and we will replace or repair the affected item free of charge(upon initial assessment). To avoid needless repair expenses and get the best service from your new storage building please follow the “Customer Maintenance Tips” listed below. Warranty is only valid to the original purchaser on file, not transfer of warranty is accepted! The building should be painted within 15 days after complete installation on all sides (front, back and edges) in order for each warranty to be valid. Mega Storage Sheds uses carefully select building components in each of our backyard storage. Some of the products we use during construction, for instance our siding and roofing, carry an additional manufacturer’s warranty that is completely independent from any warranty stated herein. We will warrant each unit against workmanship for 3 years from the date of purchase and we will replace or repair the affected item free of charge(upon initial assessment). All concrete slabs done by Mega Storage Sheds shall have a 6 month limited warranty. Due to natural settling, it is inevitable to detain any type of settling. However, this warranty does not cover cracking, peeling, or pitting of concrete, regardless of when it occurs. Our Warranty does NOT cover the following: Natural Disasters- hurricanes, flooding, tornadoes, earthquakes, forest fires, hail damage, etc… nor does it cover vandalism, arson, negligence (misuse of shed), or inadequate care from customer. Warranty will be voided if building is moved or transferred from original location. Leveling. Due to the weight of your storage shed building natural settling of the product may occur over time. It may become necessary to re-level the building; this limited warranty does not cover re-leveling. 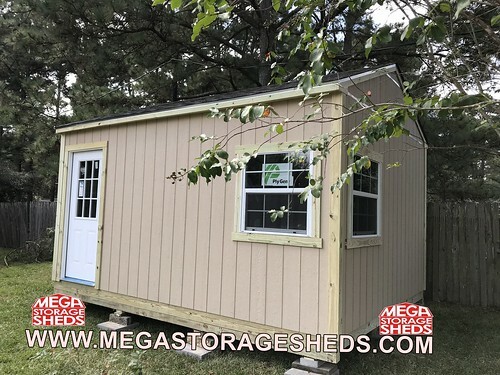 Mega Storage Sheds will gladly assist you with this service for additional fee; you may call for more information and details.